There is a widespread assumption that only those who are wealthy and have business interests need to worry about personal liability issues. The reality is very different. Society has become increasingly litigious, and you could suddenly be faced with a liability claim that could bankrupt you. From a visitor’s suffering an injury in your home to serious but unintentional damages you could have caused – the areas of what a person may be held liable for keep expanding rapidly. Your homeowners insurance and auto insurance may provide you with some degree of liability protection; however, this must be clearly mentioned in the policy. The eligibility should not be taken for granted. It is advisable to contact an insurance professional to check on the amount of liability coverage you currently have. A common mistake people often make is to presume that their current assets are not enough to warrant paying for liability insurance. The problem is that if a liability claim against you is upheld, you may lose part or all of your savings, investments, home, other property and so on. Moreover, your future earnings may be garnished and assets may be impacted. Personal liability insurance protects you when you are at fault. Furthermore, your coverage will pay for your legal defense, in case you are falsely accused of an injury or loss. The risk is greater than you may presume. 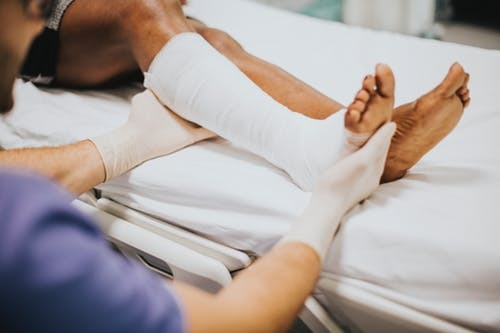 It is an old truism that “most accidents occur at home.” To put that into perspective, the National Safety Council says that in 2013, one in sixteen persons suffered an injury at home that required specialist medical treatment. If that one person happens to be a visitor in your home, you would be liable to pay for the accident. Looking at it from a different angle, one in fifteen homes has an injury-related insurance claim each year. Customer attitude is a major reason why the issue of personal liability coverage is ignored more often than not, or the coverage that may exist is too low to safeguard against a crisis. For instance, when buying a car or home, your focus is primarily on damage or loss; the liability aspect is rarely given the thought it deserves. Liability could arise anytime from anywhere. For example, suppose that your child hits a ball in a game that flies through an open car window; the driver ducks the ball, loses control and suffers an accident; the liability could be massive, although it was inadvertently caused. A liability claim upheld against you could wreak havoc on your life. A reliable protection is in the form of personal liability insurance. Liability is a complex legal matter and that is the reason why you hear about a very large number of court cases. Personal liability insurance too is a complex matter. It is important to have the right amount of personal liability coverage; it is equally so to know what your coverage includes and excludes. The best person who can help you get the right coverage is an experienced insurance agent. Agents and brokers both require a license from the regulatory agency of the state in which they sell insurance. Both receive their compensation from the companies whose insurance policies they sell. They both need to acquire necessarily a few from many accreditations; a customer has the right to know which ones the agent needs to acquire, and which others the broker needs to. The customer has the right to be familiar with what those accreditations entail. An insurance agent is a representative of an insurance company: he works on behalf of that company to sell their insurance policies to customers. Agents are bound by contracts with the companies they work for. The contracts define what they can sell, say or do; they specify clearly the compensation an agent receives for policies sold. There are two types of agents: a ‘captive agent’, who works for only one company, and an ’independent agent’, who works with multiple companies. It may appear that independent agents are better off, but this is not always the case. Captive agents often have access to policies and terms reserved only for them. Independent agents, of course, have a wide range of policies they can offer from different insurance companies. Insurance brokers do not represent insurance companies; they represent insurance buyers. They are not contractually bound to any insurance company, and so they are completely independent. They do receive compensation from insurance companies for the policies they sell, but their success and business growth come from the services they provide the buyers. Insurance is a highly competitive business. You do find many variations between all types of policies with reference to the terms, conditions and exclusions, and deductibles and premium amounts. A policy that costs more may not provide the type of coverage your specific circumstances demand. A policy that costs less than others may have the coverage you need, but the limits may be too low. It is difficult for you decide whether higher deductibles and lower premiums are right for you, or the contrary is more suitable for your needs. An accurate comparison of policies, their benefits and their reliability requires a great deal of expertise and experience in matters of insurance. Insurance brokers are in a better position to offer you a wider range of policy choices, and guide you to the options that suit your needs the most. Remember that insurance agents work for the benefit of insurance companies, and insurance brokers work for the benefit of insurance customers. The success of the brokers, both professionally and financially depends on the quality of their services to customers and customer satisfaction. 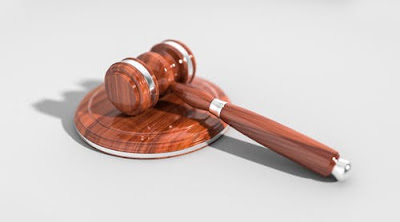 An insurer cannot force a policyholder to accept a settlement that is unreasonably low or in violation of the terms and conditions of the insurance policy. Subject to policy limits, the settlement must provide for the restoration of the property to the condition it was in before the loss. Workmanship and materials should be of the same quality as before. For example, if the home had had previously marble counters, the insurer cannot replace them by laminates. Furthermore, the insurer cannot demand that any specified contractor, company or individual do the repairs to the property. All that the insurer may do is to provide referrals, if the policyholder requires them. The insurer cannot reduce payments/settlements you are entitled to under the terms of the insurance policy; they cannot unilaterally depreciate things that normally would not be replaced during the life of the structure, such as the foundation or the framing, etc. Should any dispute arise about any depreciation calculation, you have the right to ask the insurer to spell out clearly how the depreciation was calculated; this must be given to you as you can study how it has affected the settlement offer. The insurer may ask you to be examined under oath about a claim you have filed. If that happens, the questions asked should be relevant to the processing of your claim; you are entitled to receive a transcript or recording of the examination. You can then provide clarifications or rectifications of any answers you had given under oath. You can also ask the insurance company to give you a copy of the questions before the examination, but they are not bound to supply this. Should you desire to file a complaint with the California Department of Insurance, the insurance company cannot retaliate against you in anyway, withhold your payments, intimidate, or threaten you in a bid to prevent you from filing the complaint. Moreover, the company cannot advise you against consulting an attorney or obtaining legal advice in relation to your claim. With the right insurance broker at your side, the problems you may face in filing a claim will be minimized largely; the broker will ensure that all matters are resolved quickly and fairly to your satisfaction. The insurer must act in good faith and must attempt to “effectuate prompt, fair and equitable settlements of claims in which liability has become reasonably clear.” Moreover, the insurer cannot settle a claim “for less than the amount to which a reasonable person would have believed he or she was entitled by reference to written or printed advertising material accompanying or made part of the application.” In addition, depreciation/actual cash value holdbacks must be reasonable and not excessive. Your insurer must respond to all your questions and other communications within “15 calendar days”, and there must be “a complete response based on the facts then known.” The insurer is also duty bound to inform you about all deadlines that may apply to a claim you file, including any deadline that may exist for filing a lawsuit against it. To ensure that you receive the service you are entitled to, it is best to communicate with the insurer, on important matters, by letter or email so that there is a record of who said what and when. The processing of a claim must be transparent and fair. You have the right to see all documents the insurer may have or create relating to a claim you have filed, including any that affect the valuation process. In other words, you have the right to see all valuations, reports, photographs, material estimates, content and construction depreciation schedules and so on. On request, the insurer must supply you with copies of all these documents for your perusal and review. What you are not entitled to are attorney-client communications and work products, which are privileged. An insurer is bound to gather whatever information is reasonably required to process a claim and it is your responsibility to cooperate in the investigations. 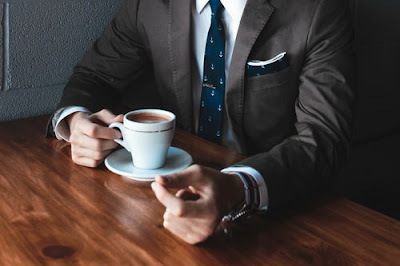 In case you are uncomfortable with questions asked of you via a telephone interview, you can ask for a written list of questions, which you may respond to in writing. The aim of insurance is to protect you against the unexpected. We know that we will all die eventually, but we do not know when, so we have life insurance to provide for our dependents after we are gone. We are not aware of when we will fall sick, be injured in an accident, have our homes damaged by natural disasters and so on. Life is full of uncertainties and it is natural to try to have as much protection as possible against what could happen. The problem is that resources are limited and trying to have insurance against every possibility may not be financially viable.Every individual and family’s insurance needs are different. That being said, there are some types of coverage that are essential for just about everyone. These are the key policies that should always be in place. The specifics may differ from person to person, but an insurance broker will be able to give you focused guidance that will ensure you get the coverages you really need. · Disability insurance: Studies show that about one-third of Americans will suffer, from some form of disability during their lifetime that will prevent them from working and earning an income. The effect this can have on a family is often not fully appreciated. The fact is that, almost half of all home foreclosures are caused by people being disabled and unable to work and pay off their mortgages. Disability insurance is the only protection you have if your earning ability is affected by sickness or injury. · Long term care insurance: Americans may be healthier than ever before and may live longer, but it is important to keep in mind that over half of the population will require some type of long-term care, such as an extended stay in a nursing home or having an in-house nurse after the age of 65. At the minimum, a 12 month stay in a nursing home will cost $60,000. It will probably be much more, depending on the amount of care required. Not having this coverage could wipe out your savings and retirement portfolio. What happens to you, and your spouse, then? · Health insurance: A major illness or a serious accident could leave you, or a family member, with medical bills running into hundreds of thousands of dollars. This could not only wipe out your savings, but also bankrupt you. Health insurance is the only protection you have against the ever-rising cost of medical care. · Umbrella insurance: It is not only the rich who are sued for damages. The world we live in is becoming increasingly litigious and even the smallest of issues can result in claims for damages. Many people make the grave mistake of presuming that because their assets are limited, it is not worthwhile for anyone to sue them. They forget that their future income may be included in any damages awarded. Umbrella Insurance is the best form of protection at a lower cost. · Term life insurance: Death could strike anyone at any time. 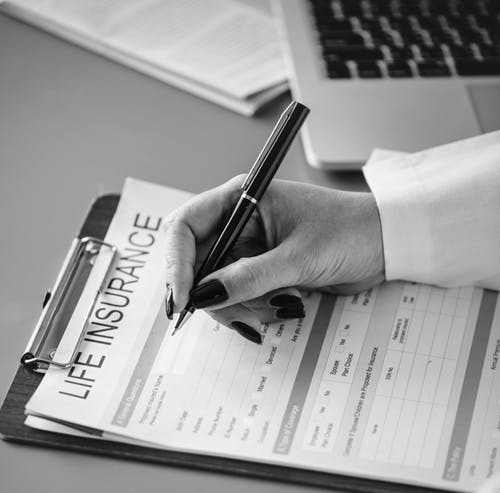 Term life insurance is a cost effective way to ensure that your dependents do not suffer financially after your death and that their futures will remain secure. The next part of this blog will look at the other essential insurance coverages. Two options were covered in the first part of this blog. Here are three more popular and viable health insurance options designed for small businesses. High Deductible Health Plans (HDHPs) are among the most widely used group health coverage options. One reason for this popularity is the low cost of coverage. The problem with them is that the low cost is due to the high deductibles and the limited coverage they provide. HDHPs may meet the requirement of providing employees with healthcare, but they typically do not meet all healthcare needs or cover all the costs. One cost-effective way of making up for the shortfall is to offer a Group Integrated Health Reimbursement Arrangement (GIHRA). With a GIHRA the employer allocates a monthly tax-free allowance to the employee that is in addition to the group policy. The employees can use this to pay health care costs and the employer will then reimburse them to the extent of the amount allowed to them. Businesses can set up their own employment eligibility requirements and allowance limits. Associated Health Plans (AHPs) allow small businesses within the same industry segment or in the same geographical location to jointly purchase large group coverage. Because of the larger size of the employee pool, the cost per employee, can be substantially lower than other coverage options. However, in some cases, standard coverage items and essential health benefits may not be covered. Businesses joining together for an AHP must ensure that they all have the same employee health care objectives. Without this, the conflicts that will arise on the amount and types of coverage, can render the plan inoperable. 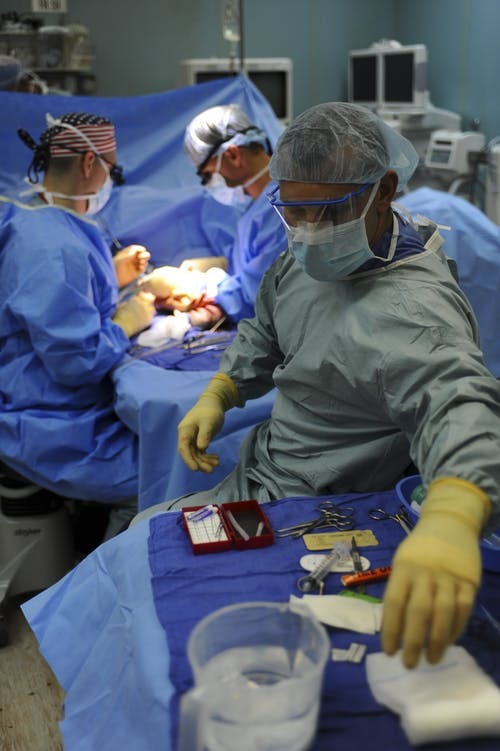 Self-funded health insurance is an option that some companies go in for. In this case, there is no health coverage from an insurance company and so there are no premiums to pay. Instead, the employer takes up the financial burden of providing health care to the employees. The eligibility, types, amount of coverage and deductibles etc. are all provided in a formal coverage plan that is made known to all employees. The positive here is that since there are no fixed payments to an insurance provider, the financial outflow will be limited to only actual costs covered by the plan. The risk, of course, is that the payments towards healthcare costs will exceed what the insurance costs would have been. In the worst case scenario, the financial outlay could cause irreparable financial damage to the business. The aim of all these health coverage options is to reduce the financial burden on small and medium enterprises. Each one has its own pros and cons and navigating through the complexities of the coverage options can not only be time consuming, but also very confusing. Making the right decisions will result in a happier and more motivated workforce that will have a positive impact on business performance, while the wrong choice could result in a demoralized workforce and lower productivity. Contacting an insurance broker is the best way to be sure of making the right choices. He will evaluate the coverage needs of the employees and suggest the health plan that will be best for them and the company itself. California has always been the home of innovation, new business ideas and ventures. Besides the well-established large and medium corporations that have made a firm home in the state, there are an ever-increasing number of smaller enterprises based here. All these businesses, large and small, face challenges every day and their ability to overcome them is what leads to success. There is one area, however, where small businesses are badly hit – the healthcare costs of their employees. Healthcare is a critical component of employee motivation and loyalty, but the cost can be too much to bear. In the last 15 years, the average cost of covering an employee under a group health insurance plan increased from $2,196 to $6,435 – a rise of almost 300%. For many enterprises, this cost has become unsustainable and healthcare benefits are being dropped. This has an immediate impact on overall productivity and employee motivation. Furthermore, the fight to retain talent in the near the future will become increasingly bitter, and businesses without health benefits will be on weak ground. Fortunately, many small business health benefits are available. Each has its own pros and cons, but they do help small and medium businesses to consider five options on their employees’ health benefits at costs that are viable. It is best for small businesses to know what they are and what each one can offer. The present post covers two of these options and the next will cover the remaining three. Although the options mentioned here are among the most suited for small enterprises, the fact remains that health insurance is a complex subject; it is essential to seek expert advice to personalize the best option on a case-by-case basis. 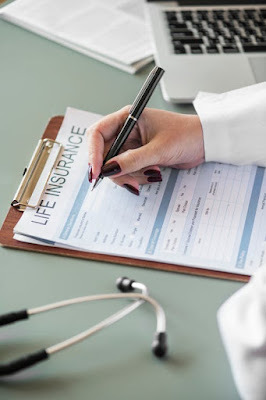 An expert insurance broker with considerable experience in corporate health insurance policies will be best placed to provide all the details about the right coverage at an affordable cost. 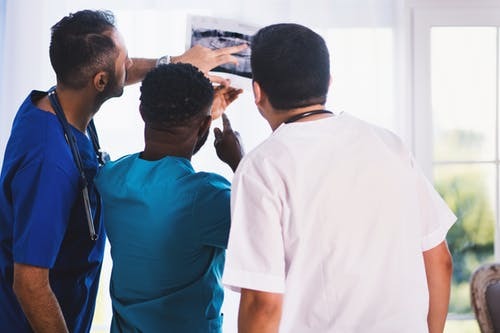 The Qualified Small Employer Health Reimbursement Arrangement (QSEHRA) enables businesses having employees under 50 to offer health coverage with a monthly tax-free allowance; they can use it to pay for personal health insurance. The employees get the benefit and the business is able to control its healthcare costs. This is a traditional health coverage option, which most people are familiar with; the employer has to pay a fixed premium for a policy that covers its employees. Part of the cost may be passed on to the employees. The employees are responsible for the deductibles and co pays for any health service they avail of. It is a simple system, which most employees are comfortable with. However, the cost can be quite high. According to recent studies, the average cost of coverage for an employee’s family, if the business has employees under 500, is expected to increase to over $13,000 in 2019. Despite the convenience, this cost could be unsustainable for many small enterprises. Allied Brokers is a full-service insurance brokerage. Founded in 1954, we provide insurance products throughout California and several other states. We have insurance policies and services for any of your insurance needs: Auto, Homeowners, Condominiums, Apartments, Earthquake, Flood, Renters, Business, Health, Life, Motorcycle, Boat, RV and Estate Planning. Experience the "can do" attitude of our agents.